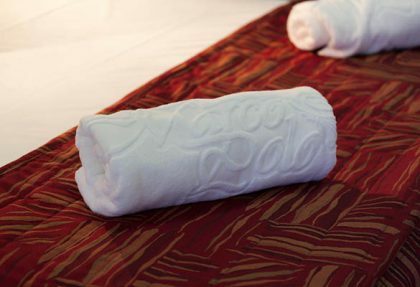 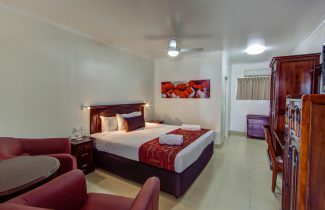 Our modern Twin Rooms each offer a comfortable king sized pillow-top bed plus one single bed. 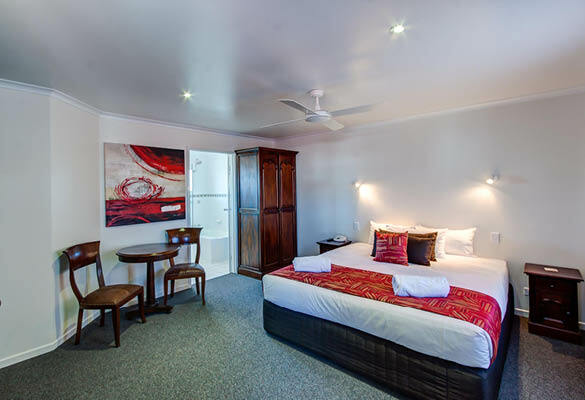 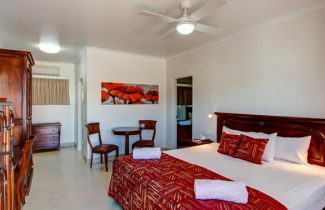 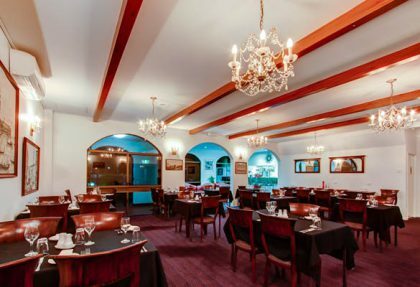 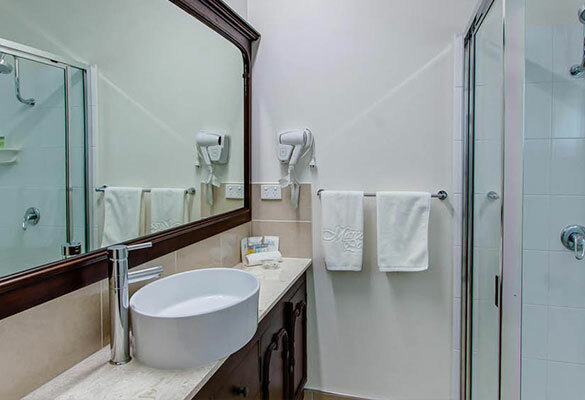 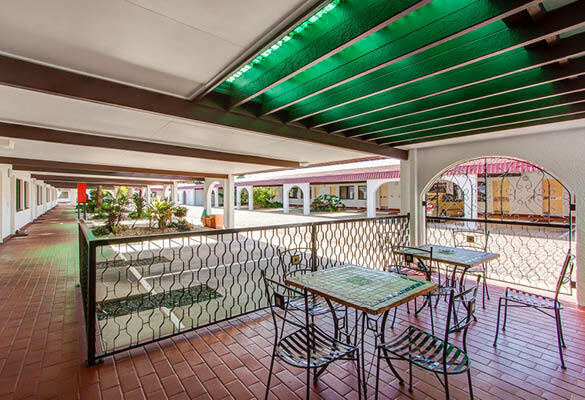 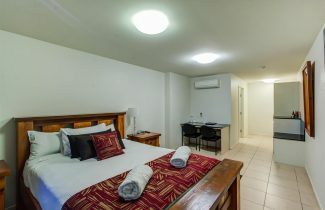 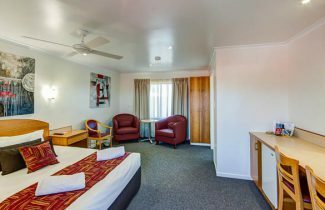 All rooms in The Marco Polo are recently refurbished and well appointed with all the modern conviences you could need for your stay, including complimentary Foxtel/Austar, FREE Wi-Fi and study desk, and air conditioning. 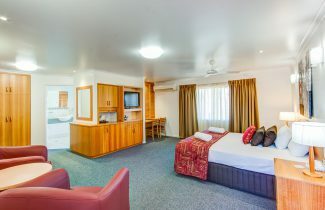 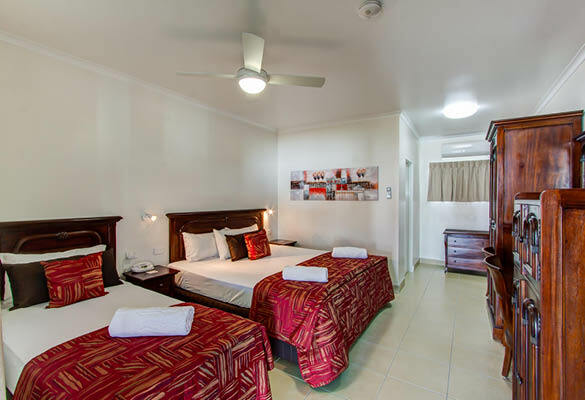 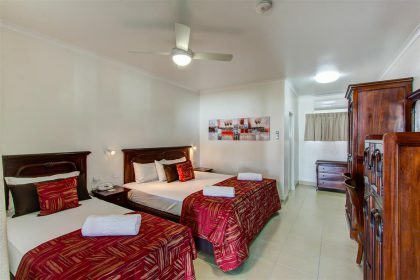 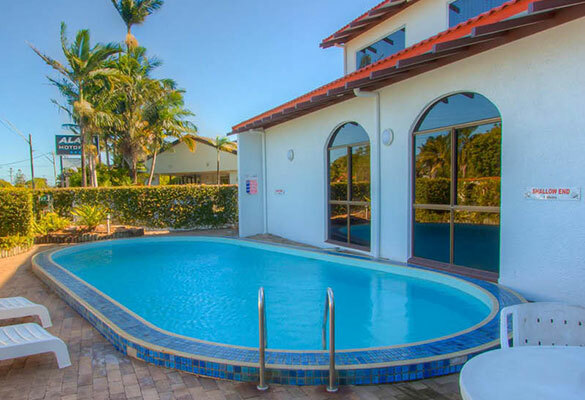 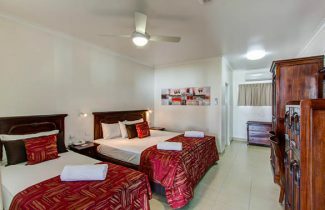 Our Twin Rooms are spacious and accommodate up to three guests. To book or make a reservation, call us on 07 4951 2700!